5. Kado M, Hikichi T: Vascular Diseases. Schepens CL, Trempe CL, Takahashi M (eds). Atlas of Vitreous Biomicroscopy, 83-103, Butterworth-Heinemann, Boston, 1999. 10. 引地泰一：HRTII，HRA，HRF．眼科診療プラクテイス編集委員（編）．眼科検査ガイド，文光堂，592-595, 596-599, 618-620, 2004. 12. 引地泰一：急激な視力低下．近藤峰生（編）．「専門医のための眼科診療クオリファイ14. 網膜機能検査A to Z」．中山書店，14-19,2012. 14. 引地泰一：疾患概念．寺崎浩子，吉村長久（編）．「眼科臨床エキスパートシリーズ　網膜剥離と極小切開硝子体手術」．医学書院 138-147, 2015. 15. 引地泰一：巨大裂孔網膜剥離．寺崎浩子，吉村長久（編）．「眼科臨床エキスパートシリーズ　網膜剥離と極小切開硝子体手術」．医学書院 212-215, 2015. 1. 上野則夫，Chakrabarti B，秋葉 純，Chattopadhyay D，梯 彰弘，引地泰一，田野保雄：活性酸素・フリーラジカルによる硝子体の変化．日眼会誌，99: 1342-1360, 1995. 8. 引地泰一：特集・わかる！使える！最新の眼科診断機器．Heiderberg Retina Angiograph．Heiderberg Retina Angiograph．あたらしい眼科，21:325-331, 2004. 12. Hikichi T: Time course of posterior vitreous detachment in the second eye. Curr Opin Ophthalmol 18:224-227, 2007. 1. Hikichi T, Yoshida A, Tsubota K: Lymphocytic infiltration of the conjunctiva and the salivary gland in Sjogren's syndrome. Arch Ophthalmol 111:21-22,1993. 2. Hikichi T, Yoshida A, Fukui Y, et al: Prevalence of dry eye in Japanese eye centers. Graefe’s Arch Clin Exp Ophthalmol 233:555-558,1995. 3. Yanagiya N, Akiba J, Kado M, Hikichi T, Yoshida A: Effect of peroxynitrite on rabbit cornea. Graefe's Arch Clin Ophthalmol 238:584-588,2000. 4. Igarashi S, Makita Y, Hikichi T, et al: Association of keratoconus and avellino corneal dystrophy. Br J Ophthalmol 87:367-368,2003. 1. Hikichi T, Akiba J, Trempe CL: Effect of the vitreous on the prognosis of full-thickness idiopathic macular hole. Am J Ophthalmol 116:273-278,1993. 2. Hikichi T, Trempe CL: Risk of decreased visual acuity in full-thickness idiopathic macular hole. Am J Ophthalmol 116:708-712,1993. 3. Hikichi T, Trempe CL: Resolution of an absolute scotoma after spontaneous disappearance of idiopathic full-thickness macular hole. Am J Ophthalmol 118:121-122, 1994. 4. Hikichi T, Yoshida A, Trempe CL: Course of vitreomacular traction syndrome. Am J Ophthalmol 119:55-61,1995. 5. Hikichi T, Trempe CL: Risk of bilateral idiopathic preretinal macular fibrosis. Eye 9:64-66,1995. 6. Hikichi T, Yoshida A, Akiba J, Trempe CL: Prognosis of stage 2 macular holes. Am J Ophthalmol 119:571-575,1995. 7. Hikichi T, Yoshida A, Akiba J, Trempe CL: Natural outcomes of stage 1, 2, 3 and 4 idiopathic macular holes. Br J Ophthalmol 79:517-520,1995. 8. Hikichi T, Takahashi M, Trempe CL, Schepens CL: Relationship between defect in premacular cortical vitreous and idiopathic premacular fibrosis. Retina 15:413-416,1995. 9. Kakehashi A, Schepens CL, Akiba J, Hikichi T, Trempe CL: Spontaneous resolution of foveal detachments and macular breaks. Am J Ophthalmol 120:767-775,1995. 10. Yanagiya N, Akiba J, Shimizu A, Kakehashi A, Kado M, Hikichi T, Yoshida A: Clinical characteristics of traumatic macular holes. Jpn J Ophthalmol 40:544-547,1996. 11. Akiba J, Ishiko S, Hikichi T, et al: Imaging of epiretinal membranes in macular holes by scanning laser ophthalmoscopy. Am J Ophthalmol 121:177-180,1996. 12. Akiba J, Yanagiya N, Konnno S, Hikichi T, Yoshida A: Three-dimensional characteristics of macular pseudoholes using confocal laser tomography. Ophthalmic Surg Lasers 30:513-517,1999. 13. Hikichi T, Ishiko S, Takamiya A, et al: Scanning laser ophthalmoscope correlations with biomicroscopic findings and foveal function after macular hole closure. Arch Ophthalmol 118:193-197,2000. 14. Hikichi T, Onodera A, Ishiko S, et al: Stereo acuity in patients with unilateral macular hole and after unilateral macular hole surgery. Graefe's Arch Clin Ophthalmol 239:128-132,2001. 15. Takahashi A, Takeda M, Kitaya N, Takahashi J, Konno S, Ishiko S, Hikichi T, Yoshida A: Bilateral giant macular holes with excellent visual function. Arch Ophthalmol 120:661-663,2002. 16. Hikichi T, Kitaya N, Takahashi J, et al. Association of preoperative photoreceptor displacement and improved central scotoma after idiopathic macular hole surgery. Ophthalmology 109:2160-2164,2002. 17. Hikichi T, Kitaya N, Konno S, et al. Effect of preoperative detection of photoreceptor displacement on postoperative foveal findings in eyes with idiopathic macular hole. Br J Ophthalmol 87:506-507,2003. 18. Kitaya N, Hikichi T, Kagokawa H, et al. Irregularity of photoreceptor layer after successful macular hole surgery prevents visual acuity improvement. Am J Ophthalmol 138:308-310,2004. 1. Hikichi T, Wajima R, Trempe CL: Vitreous photography with a wide-angle preset slit-lamp lens. Am J Ophthalmol 116: 513-514,1993. 2. Hikichi T, Hirokawa H, Kado M, et al: Comparison of the prevalence of posterior vitreous detachment between Caucasians and Japanese. Ophthalmic Surg 26:39-43,1995. 3. Hikichi T, Ueno N, Trempe CL, Chakrabarti B: Cross-linking of dermal collagen induced by singlet oxygen. Biochem molecul bio inter 33:497-504,1994. 4. Hikichi T, Trempe CL: Relationship between floaters and/or light flashes and complications of posterior vitreous detachment. Am J Ophthalmol 117:593-598,1994. 5. Hikichi T, Akiba J, Trempe CL: Prevalence of posterior vitreous detachment in retinitis pigmentosa. Ophthalmic surg 26:34-38,1995. 6. Hikichi T, Trempe CL, Schepens CL: Letter to "Natural history of posterior vitreous detachment with early management as the premier line of defense against retinal detachment. Ophthalmology 102:527,1995. 7. Hikichi T, Ueno N, Chakrabarti B, et al: Evidence of cross-link formation of vitreous collagen during experimental ocular inflammation. Graefe's Arch Clin Ophthalmol 234:47-54,1996. 8. Hikichi T, Akiba J, Kakehashi A, Yoshida A: Vitreous observation using a CCD camera and a computerized unit for image processing and storage. Retina 10:505-507,1995. 9. Hikichi T, Ueno N, Chakrabarti B, Trempe CL: Cross-link of vitreous collagen during ocular inflammation induced by interleukin 1β. Jpn J Ophthalmol 40:297-302,1996. 10. Hikichi T, Trempe CL: Ocular pathologies associated with posterior vitreous detachment in young patients. Ophthalmic Surg Lasers 27:782-786,1996. 11. Hikichi T, Akiba J, Ueno N, Yoshida A, Chakrabarti B: Cross-link formation of vitreous collagen and degradation of hyaluronic acid induced by bilirubin-sensitized photochemical reaction. Jpn J Ophthalmol 41:154-159,1997. 12. Akiba J, Yanagiya N, Kakehashi A, Hikichi T, et al: Copper-ion-catalyzed vitreous liquefaction in vivo. Ophthalmic Res 29:37-41,1997. 13. Hikichi T, Yanagiya N, Kado M, et al: Posterior vitreous detachment induced by injection of plasmin and sulfur-hexa-fluoride in the rabbit vitreous. Retina 19:55-58,1999. 14. Hikichi T, Kado M, Yoshida A: Hyaluronidase cannot induce posterior vitreous detachment. Retina 20:195-198,2000. 15. Hikichi T, Yoshida A. Time course of development of posterior vitreous detachment in the fellow eye after development in the first eye. Ophthalmology 111:1705-1707, 2004. 16. Hikichi T, Furukawa Y, Ohtsuka H, et al: Improvement of visual acuity 1 year after vitreous surgery in eyes with residual triamcinolone acetonide at the macular hole. Am J Ophthalmol 145:267-272,2008. 17. Hikichi T, Matsumoto N, Ohtsuka H, et al: Comparison of 1-year outcomes between 23- and 20-gauge vitrectomy for preretinal membrane. Am J Ophthalmol 147:639-643,2009. 18. Hikichi T, Kosaka S, Takami K, et al. 23- and 20-gauge vitrectomy with air tamponade with combined phacoemulsification for idiopathic macular hole: a single surgeon study. Am J Ophthalmol 152:114-121,2011. 19. Hikichi T, Kosaka S, Takami K, et al: Surgical outcomes of 23- and 20-gauge vitrectomies for rhegmatogenous retinal detachment associated with posterior vitreous detachment. Ophthalmic Surgery, Lasers & Imaging 42:376-82,2011. 20. Hikichi T, Kosaka S, Takami K, et al: Incidence of retinal breaks in eyes undergoing 23-gauge or 20-gauge vitrectomy with induction of posterior vitreous detachment. Retina 32:1100-1105,2012. 21. Hikichi T: Time course of development of posterior vitreous detachment after phacoemulsification surgery. Ophthalmology 119:2102-2107,2012. 1. Hikichi T, Fujio N, Akiba J,et al: Association between the short-term natural history of diabetic macular edema and the vitreomacular relationship in type II diabetes mellitus. Ophthalmology 104:473-478,1997. 2. Hikichi T, Ohnishi M, Hasegawa T: Transient shallow anterior chamber induced by supraciliary fluid after vitreous surgery for proriferative diabetic retinopathy. Am J Ophthalmol 124:696-698,1997. 3. Mori F, Hikichi T, Takahashi J, et al: Dysfunction of active transport of blood retinal barrier in patients with cliinically significant macular edema in type 2 diabetes mellitus. Diabetes Care 25:1248-1249,2002. 4. Mori F, Hikichi T, Nagaoka T, et al: Inhibitory effect of losartan, an AT1 angiotensin II	receptor antagonisit, on increased leucocyte entrapment in retinal microcirculation of diabetic rats. Br J Ophthalmol 86:1172-1174,2002. 5. Hikichi T, Mori F, Nakamura M, et al: Inhibitory effects of bucillamine on increased blood-retinal barrier permeability in streptozotocin-induced diabetic rats. Curr Eye Res 25:1-7,2003. 6. Mori F, Ishiko S, Kitaya T, Takamiya A, Sato E, Hikichi T, Yoshida A: Use of scanning laser ophthalmoscope microperimetry in clinically significant macular edema in type 2 diabetes mellitus. Jpn J Ophthalmol 46:650-655,2003. 7. Mori F, Yokota H, Nagaoka T, Konno S, Kagokawa H, Hikichi T, Yoshida A: Pulsatile ocular blood flow is unaffected in type 2 diabetes mellitus. Jpn J Ophthalmol 47:621-622, 2003. 8. Sugawara R, Hikichi T, Kitaya N, et al: Peroxynitrite decomposition catalyst, FP15, and poly(ADP-ribose) polymerase inhibitor, PJ34, inhibit leukocyte entrapment in the retinal microcirculation of diabetic rats. Curr Eye Research 29:11-16,2004. 9. Nagaoka T, Kitaya N, Sugawara R, Yokota H, Mori F, Hikichi T, et al: Alteration of choroidal circulation in the foveal region in patients with type 2 diabetes. Br	J Ophthalmol 88:1060-1063,2004. 10. Yokota H, Mori F, Kai K, Nagaoka T, Izumi N, Takahashi A, Hikichi T, et al: Serum protein levels and diabetic retinopathy in type 2 diabetes: new method to measure serum level of prorein usingantibody-activating direct kinetic assay. Br J Ophthalmol 89:871-873,2005. 11. Mori F, Takahashi J, Nagaoka T, Abiko T, Hikichi T, Yoshida A: Inhibitory effect of bucillamine on the increased leukocyte entrapment in the retinal microcirculation of diabetic rats. Jpn J Ophthalmol 50:377-379,2006. 12. Yokota H, Nagaoka T, Mori F, Hikichi T, et al: Prorenin levels in retinopathy of prematurity. Am J OPhthalmolo 143:531-533,2007. 13. Hikichi T, Tateda N, Miura T: Alteration of melatonin secretion in patients with type 2 diabetes with proliferative diabetic retinopathy. Clin Ophthalmol 5:655-660,2011. 1. Hikichi T, Mori F, Nakajima S,: Dynamic observation of selective accumulation of a photosensitizer and its photodynamic effects in rat experimental choroidal neovascularization. Retina 21:126-131,2001. 2. Mori F, Konno S, Hikichi T,et al: Factors affecting pulsatile ocular blood flow in normal subjects. Br J Ophthalmol 85:529-530,2001. 3. Mori F, Konno S, Hikichi T, et al: Pulsatile ocular blood flow study: decreases in exudative age related macular degeneration. Br J Ophthalmol 85:531-533,2001. 4. Hikichi T, Mori F, Takamiya A, et al: Inhibitory effect of losartan on laser-induced choroidal neovascularization in rats. Am J Ophthalmol 132:587-589,2001. 5. Mori F, Ishiko S, Kitaya N, Takamiya A, Sato E, Hikichi T, Yoshida A: Scotoma and fixation patterns using scanning laser ophthalmoscope microperimetry in patients with macular dystrophy. Am J Ophthalmol 132:897-902,2001. 6. Mori F, Kitaya N, Hikichi T, Yoshida A: Choroidal abnormalities in neurofibromatosis type 1 with noninvasive infrared imaging. Br J Ophthalmol 86:482-483,2002. 7. Hikichi T, Mori F, Sasaki M, et al: Inhibitory effect of bucillamine on laser-induced choroidal neovascularization in rats. Curr Eye Res 24:1-5,2002. 8. Kitaya N, Nagaoka T, Hikichi T, et al: Features of abnormal choroidal circulation in central serous chorioretinopathy. Br J Ophthalmol 87:709-712,2003. 9. Izumi N, Mori F, Ishiko S, Kitaya N, Hikichi T, et al: Spontaneous bilateral giant tears of the retinal pigment epithelium. Br J Ophthalmol 88:1476-8,20004. 10. Yokota H, Takamiya A, Nagaoka T, Kitaya N, Mori F, Hikichi T, et al: The role of prorenin in the pathogenesisi of retinal neovascularization. Hokkaido Igaku Zasshi 83:159-65, 2008. 11. Hikichi T, Ohtsuka H, Higuchi M, et al: Causes of macular serous retinal detachments in Japanese patients 40 years and older. Retina 29:395-404,2009. 12. Hikichi T, Ohtsuka H, Higuchi M, et al: Factors predictive of visual acuity outcomes 1 year after photodynamic therapy in Japanese patients with polypoidal choroidal vasculopathy. Retina 31:857-865,2011. 13. Hikichi T, Ohtsuka H, Higuchi M, et al: Improvement of angiographic findings of polypoidal choroidal vasculopathy after intravitreal injection of ranibizumab monthly for 3 months. Am J Ophthalmol 151:674-682,2010. 14. Hikichi T, Higuchi M, Matsushita T, et al: One-year results of three monthly ranibizumab injections and as-needed reinjections for polypoidal choroidal vasculopathy in Japanese patients. Am J Ophthalmol　154:117-124,2012. 15. Hikichi T, Higuchi M, Matsushita T, et al: Results of 2 years of treatment with as-needed ranibizumab reinjection for polypoidal choroidal vasculopathy. Br J Ophthalmol 97:617-621, 2013. 16. Hikichi T, Higuchi M, Matsushita T, et al: Facotors predictive of outcomes 1 year after three monthly ranibizumab injections and as-needed reinjections for polypoidal choroidal vasculopathy in Japanese patients. Retina 33:1949-1958, 2013. 17. 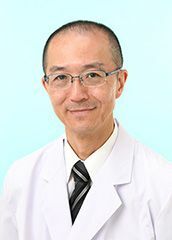 Hikichi T: Letters: Author's response: Outcomes of polypoidal choroidal vasculopathy treated with ranibizumab monotherapy. Br J Ophthalmol 98:569-570,2014. 18. Hikichi T, Kitamei H, Shioya S, et al: Relations between changes in foveal choroidal thickness and 1-year results of ranibizumab therapy for polypoidal choroidal vasculopathy. Br J Ophthalmol 98:1201-1204,2014. 19. Hikichi T, Kitamei H, Shioya S: Prognostic factors of 2-year outcomes of ranibizumab therapy for polypoidal choroidal vasculopathy. Br J Ophthalmol 99:817–822,2015. 20. Hikichi T: Macular multifical granular hyperfluorescence on fluorescein angiography. Int J Ophthalmol clin Res 2:1-5,2015. 21. Hikichi T: Individualized ranibizumab therapy strategies in 3 year after as-needed treatment for polypoidal choroidal vasculopathy. BMC Ophthalmol 15:1-7,2015. 22. Hikichi T, Kitamei H, Shioya S: Retinal pigment epithelial atrophy over polypoidal choroidal vasculopathy lesions during ranibizumab monotherapy. BMC Ophthalmol 16:55,2016. 2. Mukai N, harada M, Muroi K, Hikichi T, Yoshida A: New graphics models for PC based ocular surgery simulator. Stud Health Technol Inform 81:329-335,2001. 3. Hikichi T, Kosaka S, Takami K, et al: Serum concentration of triamcinolone acetonide used for visualization during vitrectomy. Br J Ophthalmol 94:1402-1403,2010. 4. Hikichi T, Kitamei H, Kosaka S, et al: Intraoperative endoscopic observation of sclerotomy site after cannula removal for 23-gauge vitrectomy. Clin Ophthalmol 8:477–481,2014. 1. Kachi T, Fujita M, Kanda M, Hamada K, Ueno T, Takei H, Yahara O, Tanii H, Ishibashi H, Terasawa K, Takatori T, Hikichi T, Yoshida: Static and dynamic morphological studies of human pineal gland in neoplastic and systemic neurogenerative disease cases and medico-legal autopsy cases. Advances in Pineal Res 3:277-289,1989. 2. Akiba J, Kakehashi A, Hikichi T, Trempe CL: Vitreous findings in cases of optic nerve pits and serous macular detachment. Am J Ophthalmol 116:38-41,1993. 3. Hikichi T, Trempe CL: Role of the vitreous in the prognosis of peripheral uveitis. Am J Ophthalmol 116:401-405,1993. 4. Hikichi T, Fujio N, Trempe CL: The vitreous in retinal arterial occlusion. Retina 14:335-337,1994. 5. Hikichi T, Konno S, Trempe CL: Role of the vitreous in central retinal vein occlusion. Retina 15:29-33,1995. 6. Takahashi M, Hikichi T, Akiba J, Yoshida A: Role of the vitreous and macular edema in branch retinal vein occlusion. Ophthalmic Surg Laser 28:294-299,1997. 7. Hasegawa T, Akiba J, Ishiko S, Hikichi T, et al: Abnormal vitreous structure in optic nerve pit. Jpn J Ophthalmol 41:324-327,1997. 8. Hikichi T, Yoshida A, Hasegawa T, et al: Wound healing of scleral self-sealing incisions: a comparison of ultrasound biomicroscopy and histology findings. Graefe's Arch Clin Ophthalmol 236:775-778,1998. 9. Hikichi T, Nomiyama G, Ikeda H, Yoshida A: Vitreous changes	after treatment of retinopathy of prematurity. Jpn J Ophthalmol 43:543-545,1999. 10. Takahashi J, Mori F, Hikichi T, Yoshida A: Effect of acetazolamide on outward permeability of blood-retina barrier using differential vitreous fluorophotometry. Curr Eye Res 23:166-170,2001. 11. Mori F, Kawai M, Sato E, Igarashi S, Hikichi T, Yoshida A: Branch retinal vein occlusion in a Japanese patient with neurofibromatosis 1. Jpn J Ophthalmol 45:634-635,2001. 12. Kitaya N, Mori F, Hikichi T,et al: Effects of latanoprost on blood-retinal barrier permeability in rabbits. Ophthalmic Res 35:276-280,2003. 13. Takahashi J, Hikichi T, Mori F, et al: Effect of nucleotide P2Y2 receptor agonists on outward active transport of fluorescein across normal blood-retina barrier in rabbit. Exp Eye Res 78:103-108,2004. 14. Kawahara A, Hikichi T, Takahashi J, et al:	Adenosine agonist regulation of outward active transport of fluorescein across retinal pigment epithelium in rabbit. Exp Eye Res 80:493-499,2005. 15. Hikichi T, Higuchi M, Matsushita T, et al. Two-year outcomes of intravitreal bevacizmab therapy for macular oedema secondary to branch retinal vein occlusion. Br J Ophthalmol 98:195-199,2014. １	引地泰一，吉田晃敏，加地 隆：悪性腫瘍患者における瞳孔dynamics（第１報）．あたらしい眼科， 5: 1473ｰ1475, 1988. ６	引地泰一，吉田晃敏，加地 隆：悪性腫瘍患者における瞳孔dynamics第２報．眼紀，40: 1880-1883, 1989. ７	引地泰一，吉田晃敏，広川博之，門 正則：裂孔原性網膜剥離術後の再剥離．統計学的検討．眼科手術，3: 569-572, 1990. 11	田辺香奈子，広川博之，引地泰一，藤尾直樹，太田勲男，吉田晃敏，藤田 力，藤田昌宏；静脈瘤摘出後症状が改善した眼窩静脈瘤の１例．眼臨，84: 2267-2270, 1990. 12	引地泰一，吉田晃敏，保坂明郎，坪田一男，田村 仁：連続装用コンタクトレンズによる角膜上皮形態変化．日コレ誌，33: 99-102, 1991. 15	引地泰一，今田 恵，吉田晃敏，坪田一男：外来患者におけるドライアイの頻度．眼紀，43: 911-914, 1992. 16	引地泰一，吉田晃敏，坪田一男，田村 仁：シェーグレン症候群におけるドライアイの総合的評価．臨眼，46: 941-945, 1992. 19	今田 恵，引地泰一，吉田晃敏：後房レンズ２次移植に対する患者の満足度．眼紀，44: 1395-1398, 1993. 20	広川博之，福井康夫，引地泰一，高橋正年，今田 恵，野見山香奈子，菅野晴美，太田勲男：網膜静脈閉塞症に対するメシル酸アドレノクロムグアニルヒドラゾン（S・アドクノン）の臨床効果．医学と薬学，30: 987-990, 1993. 22	引地泰一，吉田晃敏，福井康夫，浜野 孝，李 三栄，荒木かおり，堀本幸嗣，高村悦子，北川和子，大山充徳，檀上幸孝，近藤晶子，藤島 浩，戸田郁子，坪田一男：きびしい基準とゆるい基準のドライアイについての多施設共同研究．臨眼，48: 1621-1625, 1994. 23	引地泰一，吉田晃敏，福井康夫，浜野 孝，李 三栄，荒木かおり，堀本幸嗣，高村悦子，北川和子，大山充徳，檀上幸孝，近藤晶子，藤浩，戸田郁子，坪田一男：VDT 作業およびコンタクトレンズ装用とドライアイについての多施設共同研究．臨眼，48: 1692-1694, 1994. 24	引地泰一，吉田晃敏，福井康夫，浜野 孝，李 三栄，荒木かおり，堀本幸嗣，高村悦子，北川和子，大山充徳，檀上幸孝，近藤晶子，藤島浩，戸田郁子，坪田	一男：ドライアイ患者の自覚症状と季節変化．臨眼，49: 293-299, 1995. 25	藤本俊子，広川博之，太田勲男，吉田晃敏，門 正則，引地泰一：Terson症候群の硝子体手術についてー８例１１眼のまとめー．眼臨，89: 170-173, 1995. 26	引地泰一，吉田晃敏，秋葉 純，Trempe CL：特発性黄斑円孔の自然経過．日眼会誌，99: 445-449, 1995. 27	引地泰一，秋葉 純，柳谷典彦，吉田晃敏：糖尿病黄斑症に伴う黄斑円孔．臨眼，49: 1875-1878, 1995. 28	引地泰一，吉田晃敏，今野 優：網膜中心静脈閉塞症の自然経過に対する硝子体の影響．日眼会誌，100: 63-68, 1996. 29	長岡泰司，吉田晃敏，秋葉 純，小笠原博宣，引地泰一，石子智士：汎網膜光凝固術後の糖尿病黄斑浮腫に対する黄斑光凝固治療．眼紀，47: 46-49, 1996. 31	今田 恵，秋葉 純，引地泰一，吉田晃敏：初心者によるインプラント法を用いた網膜剥離手術の検討．眼紀，47: 405-407, 1996. 34	東 由直，引地泰一，坂上晃一，吉田晃敏：人間ドックにおける後極部眼底写真読影の意義．臨眼 50: 375-377, 1996. 35	清水亜紀，柳谷典彦，引地泰一，梯 彰弘，秋葉 純，吉田晃敏：日本人の特発性黄斑円孔の臨床像．眼紀，47: 401-404, 1996. 36	引地泰一，上野則夫，Chakrabarti B， Trempe CL，吉田晃敏：インターロイキン１βによる実験的眼内炎における硝子体変化．日眼会誌，100: 853-857, 1996. 37	清水亜紀，柳谷典彦，引地泰一，梯 彰弘，秋葉 純，吉田晃敏：日本人の特発性黄斑円孔の臨床像ー２．他眼の状態ー．眼紀，47: 952-954, 1996. 38	長岡泰司，引地泰一，秋葉 純，石子智士，吉田晃敏：特発性黄斑上膜に後部硝子体膜の円形欠損を明瞭に認めた１例．眼紀，47: 993-995, 1996. 39	長内泰子，引地泰一，秋葉 純，吉田晃敏：メジャーアダプターの有用性．眼臨，90: 998-891, 1996. 40	東 由直，引地泰一，坂上晃一，寺井高子，吉田晃敏：糖尿病患者の眼科再診状況．眼紀，47: 1358-1360, 1996. 42	引地泰一，東 由直，関口雅友，東理玲子，安孫子徹，吉田晃敏：糖尿病網膜症と血清リポプロテイン（a）値．臨眼，51: 271-273, 1997. 43	引地泰一，東 由直，藤尾直樹，秋葉 純，吉田晃敏：糖尿病黄斑浮腫発生に対する硝子体の役割．臨眼，51: 409-413, 1997. 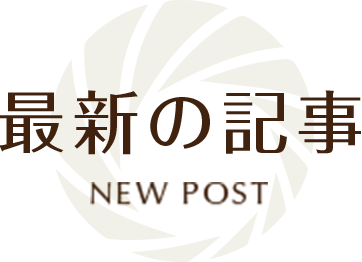 45	吉田晃敏，広川博之，秋葉 純，門 正則，小笠原博宣，石子智士，引地泰一，入江宏之，今村達彌：眼科遠隔医療の現況と展望．INNERVISION, 12:64-65,1997. 57	西平守正，林弘樹，畠山修東，三田村好矩，下野哲雄，吉田晃敏，広川博之，秋葉 純，門 正則，小笠原博宣，引地泰一，入江宏之，羽山繁：眼科遠隔医療支援のための立体動画像伝送システムの開発ー圧縮伝送および立体視表示のための眼科画像の特徴解析ー．信学技報，27:23-30, 1999. 58	西平守正，林弘樹，畠山修東，三田村好矩，下野哲雄，吉田晃敏，広川博之，秋葉 純，門 正則，小笠原博宣，引地泰一，入江宏之，羽山繁：遠隔医療画像高能率伝送のための眼科画像の特徴解析．医用．生体工学研究会資料，27:43-48, 1999. 77　古川祐子，引地泰一，増田多恵子，大塚秀勇，樋口眞琴，松下卓郎，有賀浩子，松下玲子，小阪祥子：Heidelberg Retina Tomograph II黄斑浮腫モジュールの再現性．眼紀，56:901-905,2005. 78　古川祐子，引地泰一，増田多恵子，大塚秀勇，樋口眞琴，松下卓郎，有賀浩子，松下玲子，小阪祥子：黄斑浮腫の評価におけるHeidelberg Retina Tomograph II黄斑浮腫モジュールと光干渉断層計の相関．臨眼，60:269-271,200６.